• With extra audio input (3.5mm Microphone in), allows you record your own live voice from microphone with game play video together. • Support Full HD 1080P. • Support downscalling to 720P. • Easy to use, no need any set up, just click "RECORD" button to record your game play, and re-click to stop recording. 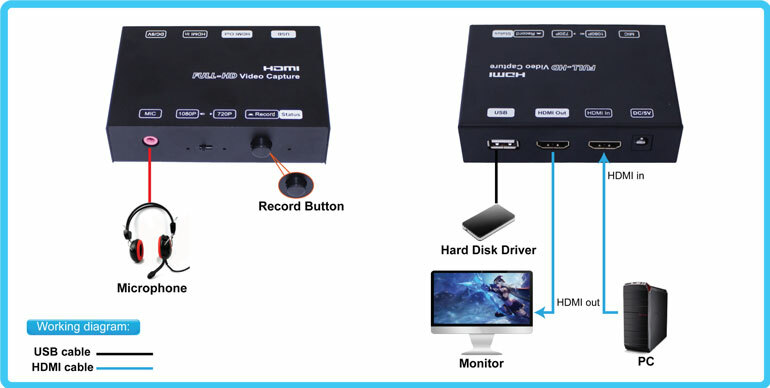 • HDMI Output : Monitors with HDMI Interface. 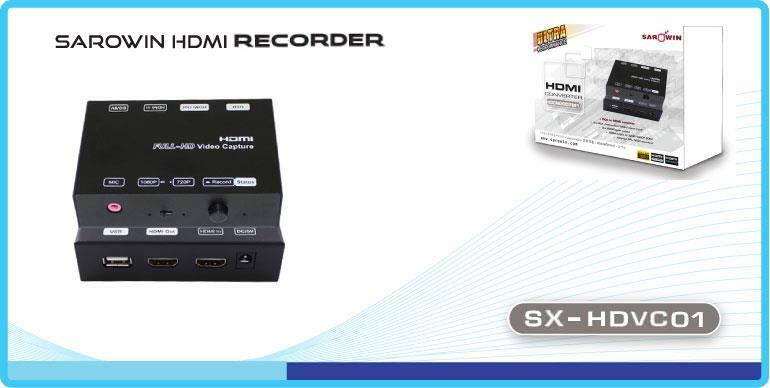 • HDMI Input : Industry HD Camera, PlayStation 4, Xbox 360 etc.